and Wardbrobe Box Rentals Included! Is it time to move and you’re feeling stressed out? 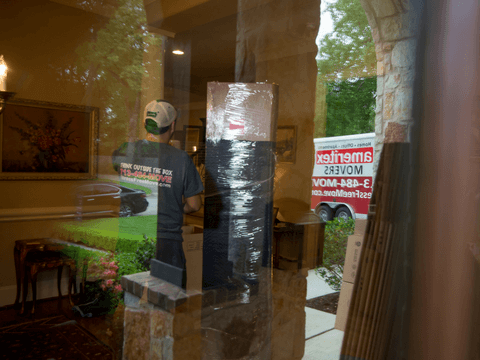 Stop worrying and call Ameritex, the Houston movers dedicated to providing every customer with a Stress-Free Move. We are a Houston moving company that understands moving is not just boxes and tape. Instead, it’s about the people, the experience, and the journey in between. Moving can be stressful. And from the first person you meet at Ameritex to the last, we pledge to remove all stress from your move. We understand how important your possessions are and how much trust you put in your movers, and we do not take that responsibility lightly. Your belongings are more than just stuff — they’re memories, keepsakes, and heirlooms — so we treat them with care and respect. The perfect balance of care and efficiency is key to providing you with the assistance you need. We work safely and quickly, but we will never rush you. This saves you money, time, stress, and reduces the risk of damage. 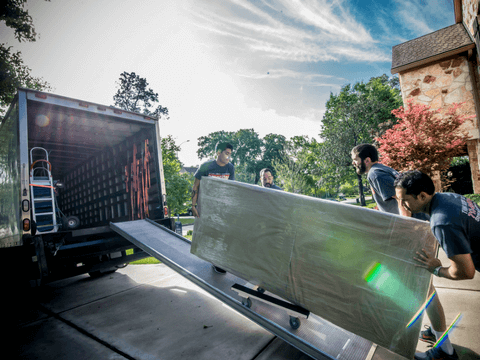 Whether you’ve been planning your move for months or need to relocate at the last minute, you can trust our team to treat your move with the individual attention, customization, and care it deserves. We are a local Houston moving company that was born in the living room of a college apartment. We love serving the Houston community because we are proud to be a part of it. That dedication shows — our team has completed over 100,000 moves with a 95% word-of-mouth referral rate. On top of that, we were named one of the 100 fastest-growing companies in the Houston area two years in a row. When it’s time for the ultimate Stress-Free Move experience, we have your supplies, your boxes, your labor, and your sanity all in one stop. Our moving crews are friendly, professional, and highly trained. We’re the movers Houston loves and keeps coming back to for repeat moves. No job is too big or too small for our talented crews. Call us at 713.484.6683 for your free quote today, or fill out the easy web form. You can get an accurate moving estimate in no time. Whether you need a residential or commercial move, we’ve got you covered. All types of moves, all over Houston. Moving has a lot of dynamics that you have to juggle. 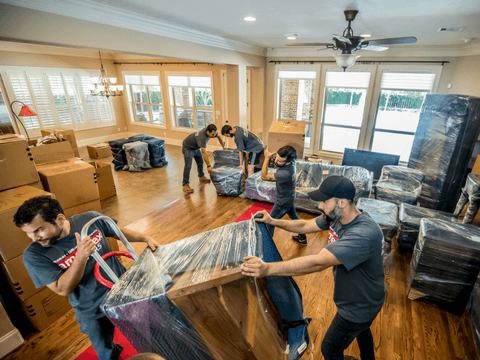 Make it easier on yourself by delegating those stressful tasks to Ameritex Houston House Movers. We handle home moves of all shapes and sizes, all over the Houston area. With expensive office equipment and lost work time on the line, office moves and corporate relocations take extra care. Let us plan, coordinate, and execute the logistics of your move so you can handle your important business operations. 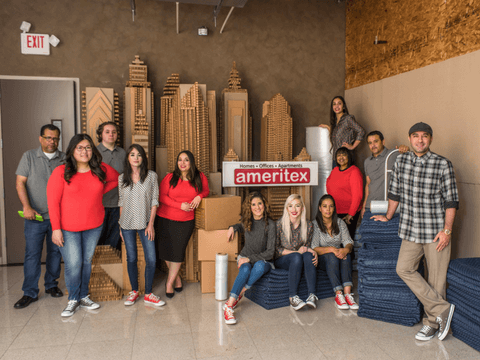 Ameritex Movers’ roots started in apartment moving in 2001 right here in Houston. Let our experience save you time, money and stress. Our Houston apartment movers handle all types of apartment moves, from high-rise condos to studio apartments. Need help removing your boxes after your move? Let us recycle your boxes. "I have moved about 4 times in the last 3 years due to the line of work I am in. I have used Ameriex all 4 times. The reason why I keep going back to them is because it is always very stress free. The pricing is competitive and the movers knock things out quick and carefully." "On time, very good about communication, super friendly, and very fast! Easiest move I've ever had and absolutely the least stressful! Thank you!" "Another great move with Ameritex Movers! They came out quickly to provide a quote. The day of the move they were running ahead of schedule and called to ask if it was ok to come early. It was, and they got there about 30 minutes early. They got us packed up and out of our apartment and into our new home quickly and without damage to any of our belongings or to the many walls/doors/elevators that had to traverse. they are polite and personable. I'd recommend Ameritex Movers to everyone. You'll have a great stress free move!" "Will always use you all and recommend you to anyone! Thank you!!! Fantastic!! Amazing!! Highly recommend :)"
"Great job! I highly recommend Ameritex. Guys worked hard and were very fast, professional, and polite." "Michael and Fernando were punctual and friendly! They were very fast and safe with my items. I'm very satisfied with the help they provided me." "Our move was stress free - thank you to a very responsive team." "The move was easy and convenient. I couldn't have asked for anything more. Will definitely use Ameritex again. The guys who moved my belongings were thorough, quick and very professional." 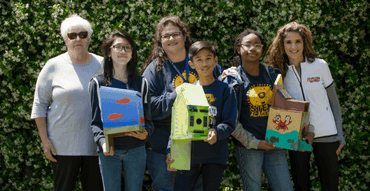 Our family of Houston movers is passionate about making a difference in our local community. 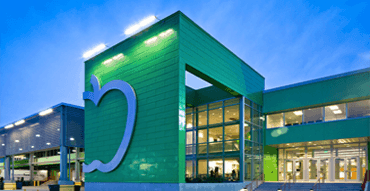 We enjoy collaborating with local organizations who are doing great work for the city, such as the Houston Food Bank, the Children’s Museum of Houston, Alief ISD, and several others. It is our philosophy that we are all humans helping humans. Think Outside the Box is our motto and mentality. This guides us in our aim to inspire creativity to improve our home city. After all, we’re not just a Houston moving company — we’re neighbors, too. Learn more about our most recent projects around town.